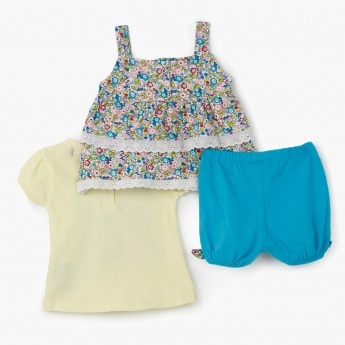 Adorable and unique, this three piece set is an apt pick for your darling. It has a printed tee with thread embroidery and short sleeves and a top with shoulder straps and lace detailing. 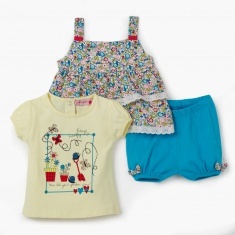 The shorts have an elasticised waistband and bow appliques.